Lets be realistic, most of us will probably never be debt free. In fact, the average American carries over $80,000 in mortgage debt at age 65 and leaves a balance of about $60,000 to their estate. We need debt in order to make major purchases like a home, a car, or an RV. There are many reasons to accumulate debt, some are by choice and some are not. According to CreditCards.com, the average balance on a single credit card for someone that carries a monthly balance is $8,220 and $1,037 for those that pay off their credit card balance each month. I'm not going to get into the good-debt vs bad-debt discussion here and while it is crucial to understand why you have debt, it is more important to focus your time and energy on how to get yourself out of debt. Perhaps the most important thing you need to do in order to be debt free is to develop what I call a “debt free mindset”. This is also quite possibly the most difficult item on our list to achieve since it involves changing behavior. A “debt free mindset” does not mean cutting up the credit cards and never using them, it means making every effort not to use debt as a way to fund a lifestyle. In other words, do you make the purchase with a credit card or do you wait until you have the cash to buy the item? Sounds simple right? Wrong! If you are single and living on your own it is obviously much easier to deny yourself that new set of golf clubs as opposed to having to tell your child they will have to wait on the new cell phone until you have the cash. Any Parent can tell you a story or two about how creative children can be in letting you know just exactly what it is that they want. Your gift to your child is to show them how to manage money without relying on debt to fund everyday purchases. One technique that I have used with success is to wait at least three days after deciding to make a major purchase that requires taking on additional debt. By giving myself the extra time to think about my decision I am able to separate my emotions and look at the purchase from a much more rational perspective. If you are going to live deft free you are going to have to learn to separate your emotions from the purchasing decision. If you were to win $1000 in a raffle what would do with the money? Would you take a vacation? Would you start an emergency fund? Would you invest it in your child's education fund? How you handle cash windfalls can be the difference between living debt free and not. A Cash windfall according to the Oxford Dictionary is a large sum of money that is received or won unexpectedly. While a large sum may be a relative concept, I challenge you to take at least 50% any cash windfall and apply that towards your debt. Cash windfalls can be anything from an inheritence to money left over from a recent vacation trip. The point is, if you want to lower your credit card debt you will have to take advantage of every opportunity to do so. There are two schools of thought about which debt to pay down first. The debt snowball method involves paying down the credit card with the smallest balance first and paying the minimum amount due on the remaining balances. The other approach is to pay down the balance with the highest interest rate first. Paying down your high interest balance first will ultimately save you money by lowering the total amount of interest you will pay and ultimately leave you with more money to apply to the other balances. I am constantly getting credit card offers in the mail and most of them offer an introductory rate for new purchases or balance transfers. 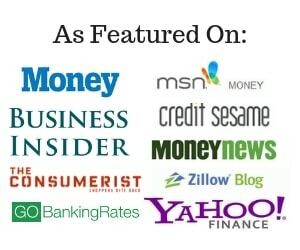 I have used these offers in the past to negotiate a lower interest rate on my credit card and you can too. I would also recommend you compare several balance transfer options so you can make the best decision for your situation. Simply pick up the phone and call your credit card company, give them the details from the offer and let them know you are seriously considering transferring your balance. While I can't tell you they will match the offer but if they say no, there is no harm done and you always have the option of going ahead with the balance transfer. Be cautious of the default interest rate and credit terms associated with the new card before making your decision. It makes no sense to transfer your balance to a card that has a much higher interest rate if you are not going to take advantage of the introductory period to pay off the entire balance. I left this topic last because this is one the most important areas that has a direct impact on your ability to pay down debt. In simple terms personal cash flow is the amount of cash that is left at the end of the month after paying your bills. Discretionary spending on things like eating out and entertainment have a major impact on the amount of cash left at the end of the month for most people. Increasing the amount of cash left at the end of the month is a pretty simple concept, increase the money coming into the household, decrease the money going out, or both. Finding ways to increase your income can be much more difficult than reducing spending. Increasing income will ultimately mean taking a second job or obtaining education or skills to position yourself for job promotion. Another option is to start a home-based business using a skill or interest you may have such as providing music lessons in your home. On the expense side I would recommend attacking the largest budget items like housing and food first and then looking for ways to reduce smaller expenditures. Readers: What are your thoughts about credit card debt? Do you feel there are items that should not be bought on credit? Great post! As you’ve said, it’s all about coming up with a plan to pay off the highest interest rate debt and work your way down from there. Any amount you can save or make extra should be put towards the debt until it is gone. I think people must also focus on investing for retirement – so once you get to debt around 3-4% it may be wise to start investing some savings. I can’t imagine being 65 with mortgage debt. That seems just depressing to me. If we use our entire amortization period, we’ll have it paid off by the time I’m 50. We plan to ramp up the payoff and not use the entire period, though. Debt can be very harmful. Exactly. But it is attainable, isn’t it? Difficult because it requires adjusting ones lifestyle which is not easy. Terrific strategies. I personally use a lot of these to pay off debt, but developing the “debt-free mindset” is the most difficult! These are great tips. I myself fight with my debt as I realized that it grew over my head already and I can concur that it is very difficult to get rid of it. It piles up easy and fast, but unwinding it is painfully slow. I like the mind set advice, although it is as well difficult to do mainly when you are already in a vicious circle when you pay your debt off and then must borrow again to survive until next paycheck. I know that is a bit odd. But since I decided not to own even one single credit card, my life is much much much better. There was a lot of “reasons” dancing in my mind to go back to having one, I successfully turned them all down. I felt like stop smoking. Consumers haven’t learned much about debt management since the debt crisis if avg. credit card balances are still over $8k! Can’t agree more with you Simon that how we make decisions is key to being able to manage our finances successfully. Whether you pay off smaller balances first or higher interest balances first, the important thing is to have a plan and stick with it. I advocate paying down higher interest balances first since you will ultimately save the most money with this strategy. That debt statistic is rather disturbing!